Sleep enthusiasts have long wondered why some people are awakened by whispers while others can dream through any din. Now, a new study (PDF 137 KB) conducted by Harvard neurologist Jeffrey Ellenbogen, and published in Current Science‘s August 10 issue, examines the makings of a sound sleeper. Ellenbogen, the sleep medicine chief at Massachusetts General Hospital, hypothesized that people with high rates of sleep spindles are more likely to sleep through the night. 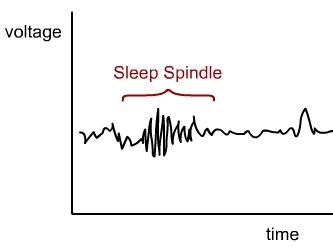 Rates of spindle rhythms vary from person to person. “Little is known about what makes one person produce more spindles than another,” said Ellenbogen in a Business Week report. 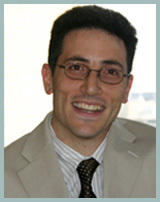 Ellenbogen and his team of researchers studied 12 adults, ages 20-46, during three nights of sleep. 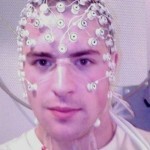 On the first night, the researchers measured the subjects’ spindle production using a process called electroencephalography (EEG). On the second and third nights, they interrupted the volunteers’ sleep with a variety of common noises, such as ringing telephones and car horns. As predicted, those with more spindle rhythms were less likely to be awakened by these sounds. Previously, research suggested that spindle production was directly correlated to external stimuli. This study suggests, however, that spindles are at least partially inherent, since the 12 subjects’ production rates varied widely even on the first, silent night. Next, Ellenbogen is planning to research spindle enhancement. “Understanding the tools and techniques the brain naturally uses could help us harness and expand those responses to help stay asleep in noisy environments,” he said. Kudos for not wanting to enhance sleep by synthetic methods. I hope you are able to maintain this integrity. Do mothers produce less spindles? I seem to have slept more lightly since giving birth. Sounds at night wake me as I am alert and listening for “baby sounds”. Is there a difference between the spindles that block daytime stimuli and night noise events? If not was there a difference in the overall environmental awareness levels of the study subjects? Did it correspond with the number of spindles, i.e. did the subjects with a greater number of spindles have a more focused or limited daytime consciousness in comparison with the subjects that had fewer spindles? 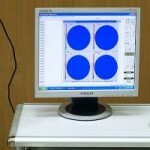 Could this be a new factor in the diagnosis of ADHD? No Sandra your body is just more “alert” because of your baby. If you ask your significant other he/she may have another opinion, because my wife hears our baby every time he cries, but i have never heard him once.